Ecom Profit Sniper - What Is It? So you are looking for information about eCommerce and how to make money online? I have some additional information on making money online at the end of this article for you that I know you will find interesting. For now, let’s focus on what is Ecom Profit Sniper and whether or not you can make money with it. It is a course that will teach you a specific type of online business that you can run from the comfort of your own home with a small start-up investment on your part. No, sorry, it is not free. 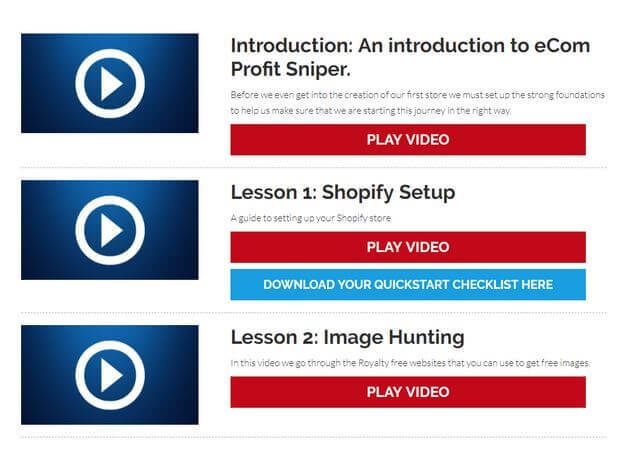 Ecom Profit Sniper is a course that will guide you through the process of setting up a Shopify website and sell other companies products by drop shipping. It will show you some techniques for promoting your website and how to get traffic from Facebook. It will give you an introduction into e-commerce at the most but I thought their material was not very in depth and that they left out other information that I think should have been included. But I cannot complain about the price for what you do get in the course. So for a beginner, you could get some benefit from it. So if you are looking for great detail with lots of examples then this course is not for you and it only shows you one method of making money with e-commerce online, which is drop shipping. There are many other methods that are just as good and some better depending on what you are looking to do in the online world. Anyone who is looking to start an online store and sell products could benefit from this course. Even though it is not very comprehensive with regards to e-commerce or affiliate marketing per se, what it does cover, it does so pretty well. If you are looking to change your job, looking for some side or supplemental income, have some free time and want to earn an income from an online business then this program could benefit you. It requires no experience and can be done by anybody with a computer and an Internet connection. By looking at the sales page you will see that they claim that you can make over $40 000 in one month or as much as $2000 a day. The numbers seemed pretty high to me at first as in my years of online marketing experience, they seemed to be a little unrealistic for start-up numbers. An established website that has been around for awhile, sure, you can definitely make that kind of money and more. But after looking into it I realized that the numbers they are showing are pure sales and not actual profit. So the profit would be around 20% – 30% less, of course, all your expenses, like ads, Shopify costs, app costs etc. The course they offer is pretty straightforward. They will guide you set-by-step through the setup process of creating a Shopify account and website and you will choose what products you want to sell on your website. Then they will show how to drive traffic to your site so that you get sales and earn some revenue. They also will show you how to market your website through social media like Facebook and drive more traffic to your site. Their system will select the most lucrative products to place on your website to sell. They claim that it only takes 20 minutes a day of work to make $2000 but I have not had that kind of success yet. 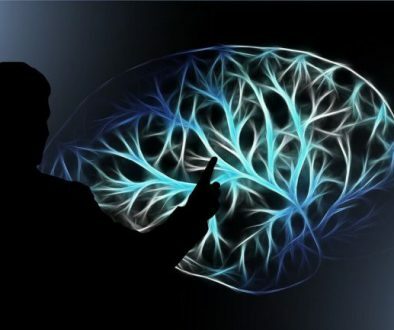 There are so many factors that will influence whether you will be successful or not with the program from what products you choose, to your work habits and ethics to what the current market is doing, targeting the right audience, and so on. If you read their disclaimer it states that they do not guarantee that you will make any money with their system but they will provide you with the knowledge to achieve that kind of success. The course gives overviews of essential apps and tools that are needed and will instruct you in how to import your products into Shopify. The course only costs $37, a one-time payment, so the investment is pretty small. You can pay by credit card or by PayPal which is helpful. Some have said that if you close out of the checkout window you get a $10 discount but I did not see that. What I did find is that some Affiliates offer the course at $27 if you use their affiliate link to purchase the course. Shopify does charge a transaction fee and a fee for accepting payments with credit cards as well as a monthly hosting fee, so be aware of this as it will increase your monthly costs. For a complete breakdown of their pricing structure and what the fees are, just follow this link. This is a course that you purchase through Clickbank and they do offer an unconditional 60-day money back guarantee. Just for the product only, the guarantee has nothing to do with Shopify and their fees. So is Ecom Profit Sniper a scam? I will have to say, NO. They do provide you with training to get to you started and set up. But can you make the kind of money that they say? Well, that is more difficult to answer. In my marketing experience I have never come across a program that can guarantee to make $2000 in your very first 20 minutes of being set up, but at the same time if you have the right product, at the right time, with the right target audience, and so on, then yes it could happen but the chances of all the pieces and timing coming together are pretty slim. Also, Ecom Profit Sniper teaches drop shipping which also takes some cash up front to start as you need to get products, apps, and some services to have a good system set up. So your initial costs will probably be more than just the course fee of $37. Shopify themselves charge you a monthly fee for hosting your website starting at $29 per month so there is that fee already just to start. And the training itself is not that good, nor does it go into much detail on the intricacies of running an e-commerce website. But for someone with zero experience and who wants to get into e-commerce, it will get you started and it will give you the basic tools to earn an income. So for newbies, it can be a good deal. I just found it too basic to be of use for myself and the fact that I do not make my income from drop shipping but rather affiliate marketing, which you can literally do with zero dollars to start up and get going. So I would say that for beginners and people looking to get into drop shipping for the first time and want an online store, then Ecom Profit Sniper can get you set up for a small investment on your part. If you are really interested in starting an online business and want to learn about affiliate marketing or e-commerce then you can read my review of what I believe to be the best platform to start from and learn. It does not cost you anything and there is no credit card required. Just click this link to my #1 recommended platform to start your journey to the world of online business and get your freedom back. If you have any questions or comments feel free to leave them below and I will be happy to respond to you. I like the guide that you have on here. Talks a great deal about ecom and how it works for the consumer. I see that your ratings on this weren’t perfect as they had some negatives I totally agreed with. Tell me though, which website would you prefer using for Shopify dropping shipping other then ecom? Hi there and thanks for stopping by. Yes they are not perfect and I think a little light on the information that is needed but the program will get a beginner started with an online store with Shopify. I do not run an online store like Shopify as I do affiliate marketing. The website I recommend for that, is Wealthy Affiliate. They provide everything you need from websites, hosting, training, support, and much more all in one place which is great for me. Hope that helps you some. Hello, Interesting review of Econ Sniper. I haven’t investigated Shopify or drop shipping to make an income. After finishing your article, I would have to research what other options are out there. Also, I am having a tough time believing the amount of income one can make. I mean if you could make that kind of money.I believe a person wouldn’t have to sell it. It would sell itself. Hi Kevin and thanks for stopping by. I agree that the numbers seem high and I did not make $2000 in my first 20 minutes but their disclaimer does say that there is no guarantee that you will make any money. I know that you can make that kind of money once you are established and have an authority website that has been around awhile. Drop shipping can be lucrative if you have the right products. But I agree that to achieve the kind of results that they talk about I have not seen in my experience in the online world. A business takes time to establish. But the system will get you started and pointed in the right direction, and it is just a small investment to get your own business started online. Hi Brandon. You are welcome and yes I agree that the sales numbers seem high. But as I mentioned in the article, these numbers are total sales and not profit. But even so they do seem a little high for a beginner site and it is misleading to people who think that by buying the system that they will make $2000 in their first 20 minutes. A little unrealistic really in my opinion. Thanks for stopping by and I wish you a great day. 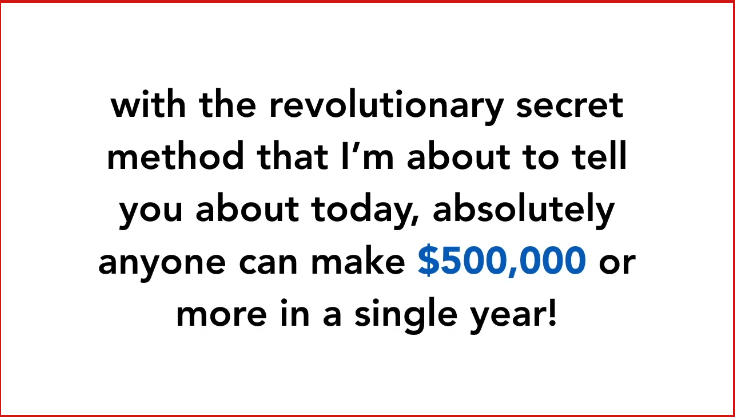 I am always skeptical of online companies stating that you will can make thousands of dollars in just a few days. As anybody in the affiliate marketing industry, it takes time and personal investment to reach that point. Some online programs are worth the cost of joining to learn and prosper while others are just a waster of money and totally useless. But it really can be a trial and error course, and it all depends on what one thinks is the most important aspect of tyheir online business that they need to focus on to become successful. Hi Brad and yes I agree with you. It takes time and hard work to achieve results in the online world. At least that has been my experience so far. I have tried quite a few of these online programs that promise “X” amount to be made but I have never made it in the time frame that they say, like in a few days. This system will get you started with an online store in Shopify and they will provide you with the tools needed for drop shipping which when done right can be very lucrative. But overall I agree and that you probably will not make $2000 in your first 20 minutes of setting up the system but it will get you started in the right direction to make money. Awesome and informative article. I’m very interested in learning about all this. You shared this at a perfect time. Thank you! Hi Jen and thanks for stopping by. I am glad that you found the article informative and useful. 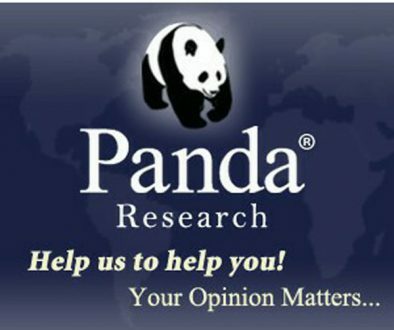 Take a look around the site, there are many interesting and helpful articles to read. Stop back anytime.